Start Your FREE 2-day Trial Now! 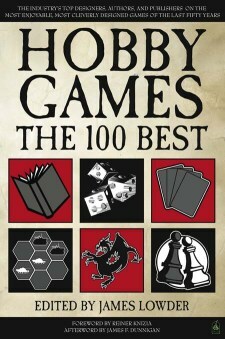 Dynasty League Baseball named as one of the 100 Best Games of the past 50 years! Welcome to DYNASTY League Baseball Online! 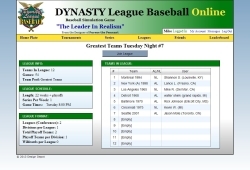 of DYNASTY League Baseball Online simulation draft leagues. 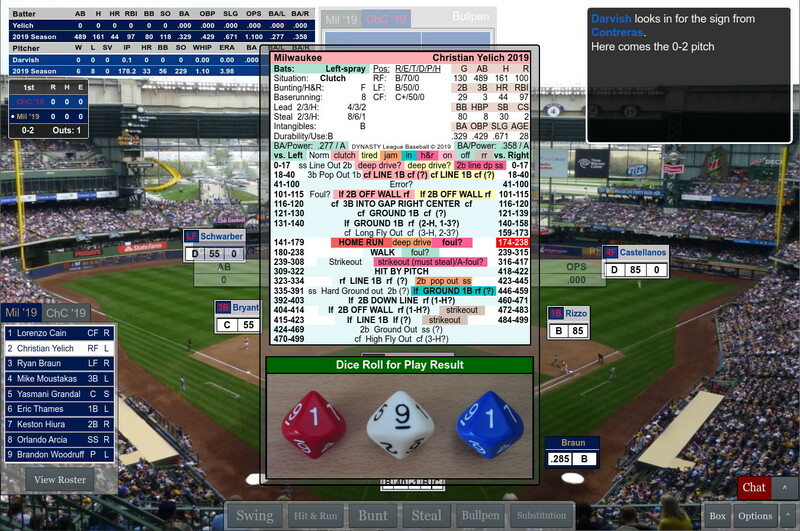 For more than 25 years, discerning baseball fans looking for the most realistic Baseball Simulations have played this landmark baseball simulation strategy game that originated as the Pursue the Pennant game. 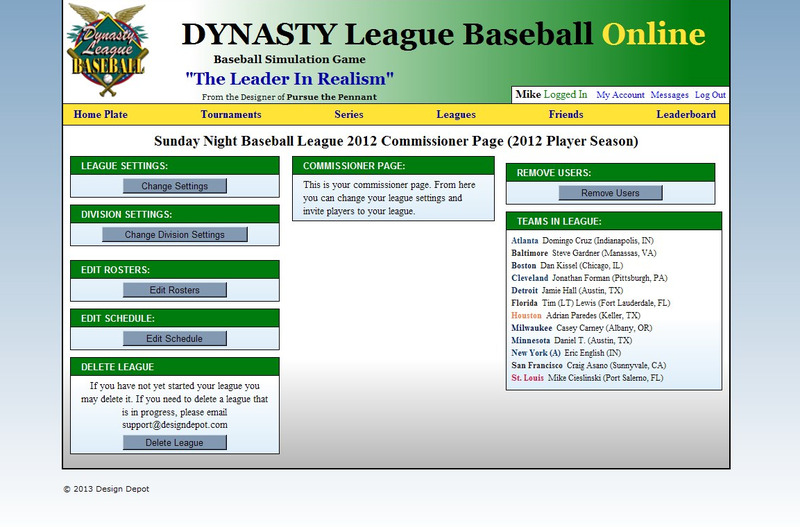 Be the Commissioner and create your own Private Draft League with your friends. Or, join a Private Draft League from new leagues being formed. Public Draft Leagues are coming in the future. 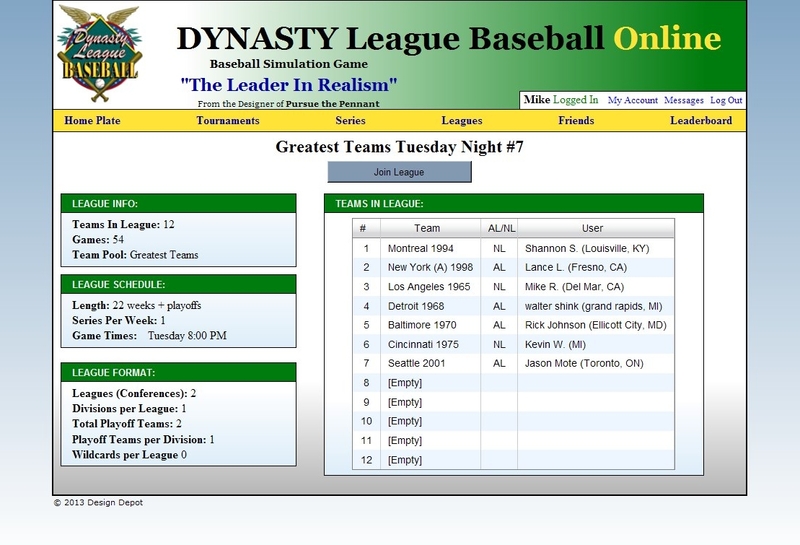 Choose your favorite team from a pool of 83 Greatest Teams in a 12 team league. Then Pursue the Pennant in a 54 or 162 game season! 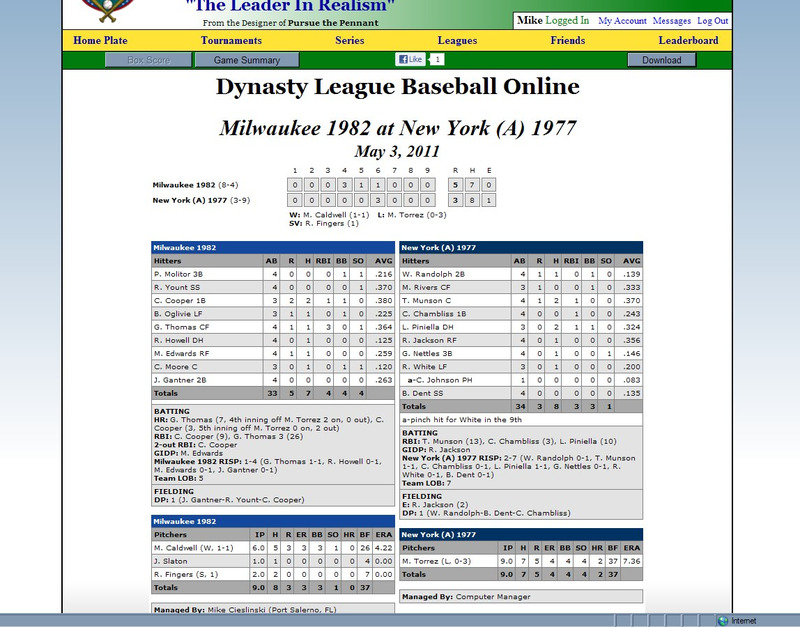 Each series you choose to play your games live head to head or have your series played with your computer manager profile. Playing live is simple and easy with one click to join your game. Unlike other Baseball sim leagues, you don’t have to import and export files to a central Commissioner to update reports. Everything is done for you automatically in real time. 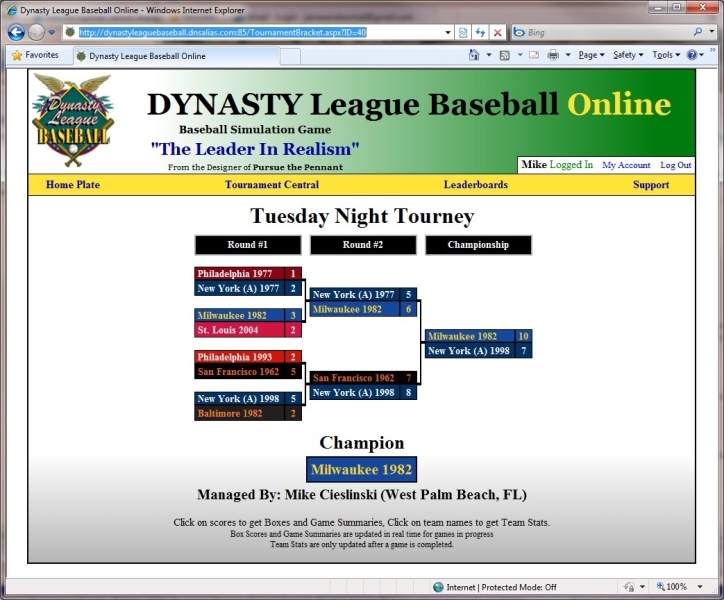 You can even follow other games in your league in real time as they are being played. 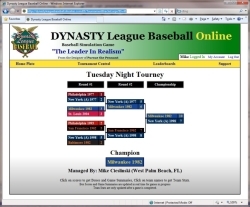 Experience the thrill of choosing your favorite Greatest Team (83 to choose from) and then managing your favorite Greatest Team in a multi-player, live, Greatest Team Bracket Tournament with updated brackets and stats in real time. 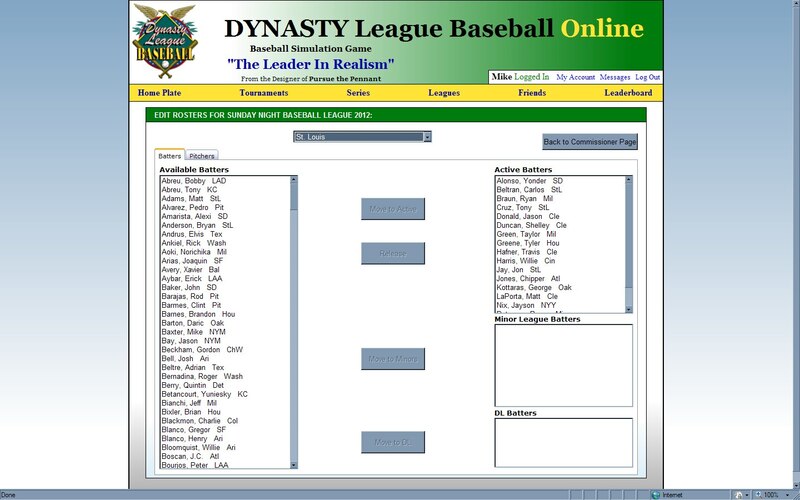 You can also choose your favorite Greatest Team and play in multi-player 54 or 162 game season leagues as you try to win the Pennant and World Series. 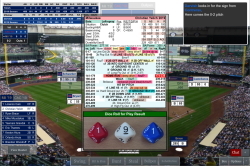 You’ll also have Total Access to the library of Dynasty League Baseball seasons to play Series solitaire or with a friend anytime you wish. 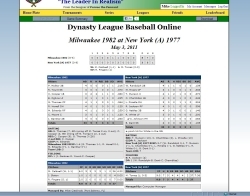 What makes Dynasty League Baseball Online Special? Maybe it's the next generation user interface that runs right in your internet browser on Windows 7, Vista, XP and Mac OS. No installation – just log in and start playing.